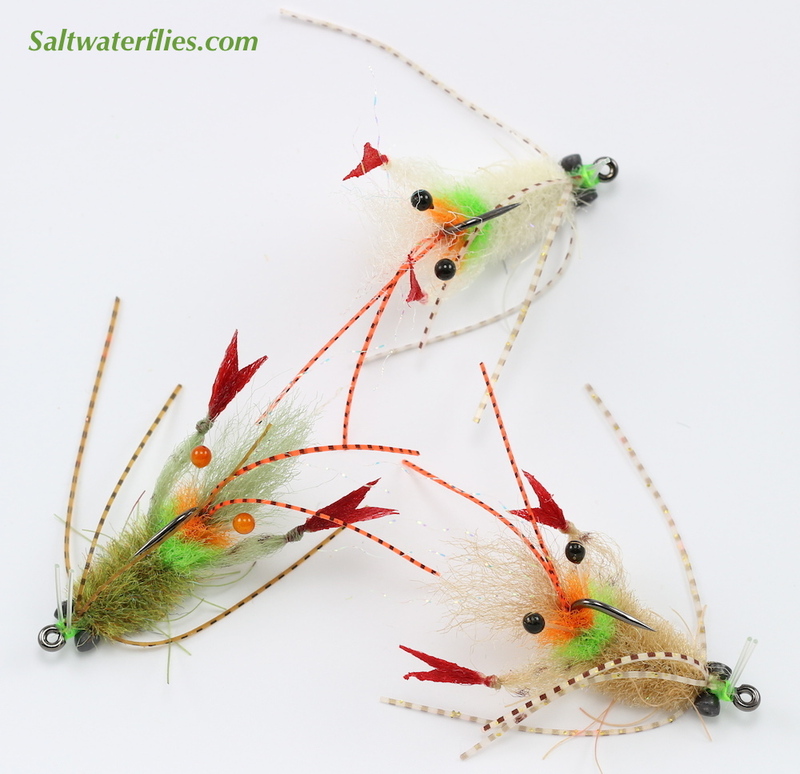 Another very tasty offering from Enrico Puglisi are these new "Scampi" crab flies. EP really makes great crabs, and these are just the ticket for redfish, big bones, permit, and more. Long rubber legs add plenty of action, and the red claws are a real nice color accent. A monofilament weedguard helps keep the fly fishing in areas of hard bottom or grass. Tied with lead eyes in two different weights to match conditions; the 5/32 size are the lighter ones for shallower waters. The 5/32 - 7/32 designation refers to the size of lead eyes that are used on each fly... the photos show the flies with the 5/32 size eyes. 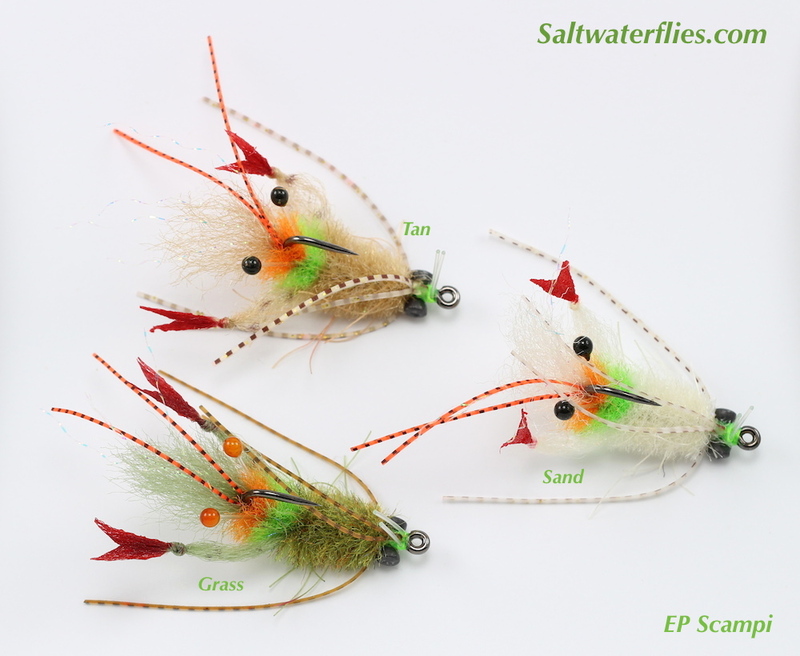 The EP Scampi Crab fly design is tied by Enrico Puglisi company. These flies are approximately 2 1/2 inches long including the rubber legs (6cm).